Over 100 years ago, working in water depths greater than 100 meters, was inconceivable, possible only in the fiction novels of the time. The literary classic, 20,000 Leagues Under the Sea, written by Jules Verne in 1870, described a mysterious “sea monster”— a submarine that travels to the deepest parts of the world’s oceans. This is an impressive accomplishment, even by today’s standards! Today, reality is mirroring the imagination of this brilliant author. 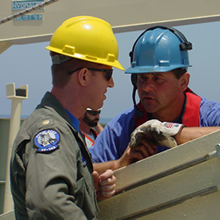 Both commercial and government entities face the requirement of accomplishing tasks at ever increasing ocean depths. Our clients are often faced with significant technological challenges with relatively few options. To this end, I would like to introduce Eclipse Group and our comprehensive range of subsea services. Our subsea capabilities successfully operate to depths of 6,000 meters. And, yes, we can still take care of your shallow water requirements! Our core operational experience, combined with state-of-the-art assets and geographic reach, provides our clients with the resources and expertise they need to successfully execute their worldwide projects in search and recovery, energy, and government/military operations. Our mission is to always provide safe, innovative and cost-effective solutions to our customer. Our brochure provides a comprehensive description of our corporate capabilities and operational experience. We welcome the opportunity to discuss any of our services with your organization.